Course attendance is limited to 80 participants with geographical focus on Georgia, Armenia, Azerbaijan, Belarus, Kazakhstan, Moldova, Russia, Turkey and Ukraine. A new format combining the ESGO and local expertise is designed for participants from Georgia and neighbouring countries. The deadline for registration and fee submission is March 11, 2019. The programme of the 2-day interactive workshop offers educational lectures covering updates on the surgical and medical treatment of ovarian cancer. Moreover, spotlight lectures will discuss special situations such as the surgical management of ovarian cancer and survivorship issues. Interactive practical training will be offered in the form of clinical case presentations, video lectures and participant presentations which will be discussed with the faculty. 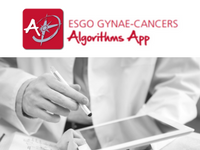 Gynaecologic oncologists, gynaecologists, medical oncologists, and oncosurgeons who wish to improve their handling of complex gynae-oncological cases. Registrations will be treated on the first come first served basis. After receipt of your Application, you will be contacted by the Workshop Secretariat that will provide you with the Invoice, payment details and confirmation of the registration after the receipt of the payment. ESGO membership 2019 is a mandatory condition for attendance. View the ESGO membership renewals and application. Participants are responsible for their own travel arrangements. Workshop attendance is limited to 80 participants. 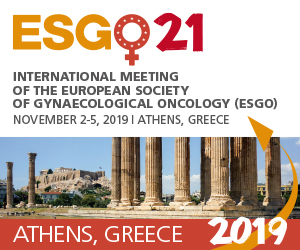 ESGO membership for 2019 is a mandatory condition for attendance. View the ESGO membership renewals and application. After receipt of the application, you will be contacted by the Workshop Secretariat that will provide you with the Invoice, payment details and with confirmation of the registration after the receipt of the payment. The final registration can only be confirmed upon receipt of the workshop registration fee and requested services payment. If the fee is not received within 10 days after the receipt of the Invoice, the position will be offered to the next suitable applicant. The organiser has the right to close the registration in case that the number of applications considerably exceeds the number of seats available. After receipt of your Application, you will be contacted by the Workshop Secretariat that will provide you with the Invoice, payment details and with confirmation of the registration after the receipt of the payment. Please make a payment no longer than 10 days after receiving the Invoice. The payment should be processed via the bank transfer. In case of cancellation, the fee will be refunded, provided a written request is received by March 18, 2019. No refund can be made if the notice of cancellation is received after this date nor in the case of a no-show. In registering for the course participants agree that the organizer is not responsible for individual medical, travel or personal insurance. Participants are requested to arrange their own travel and health insurance. The organizer cannot assume liability for changes in the program due to external circumstances. Additional nights (April 10 or April 13, 2019) can be arranged via the Workshop Secretariat and here. These discounted hotel prices above can be guaranteed until February 15, 2019. After this deadline the participants are requested to book their accommodation directly at the hotel at regular prices. For the application please tick the box at the Application form.